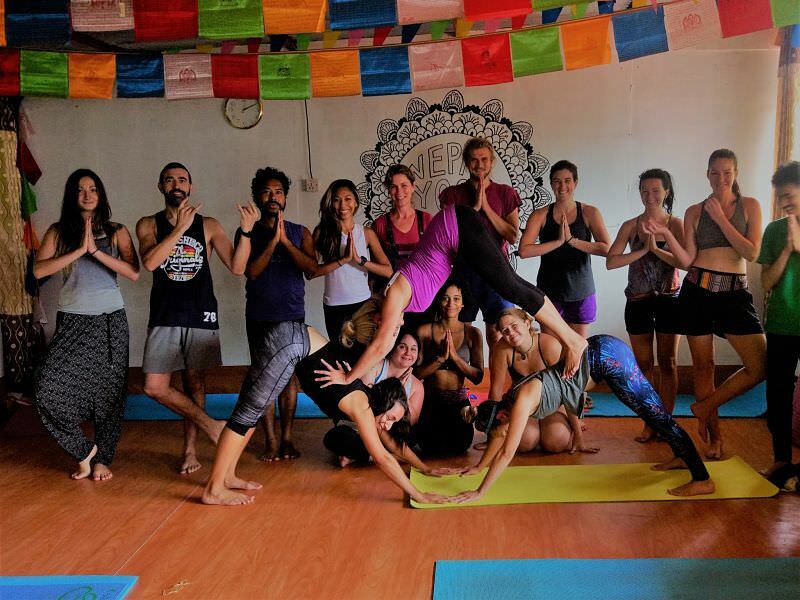 200 hours Yoga Teacher training Nepal Course is another course that is provided by Nepal Yoga Teacher Training and Retreat Center. They supply opportunities to find out regarding yourself and a life-changing expertise of yoga at intervals 200 hours yoga course in Nepal. Also, this course guides you within the new direction of peace and joy. Anyone who needs to get inner peace, self-transformation, to deepen you’re following; to expand information and to be certified and qualified yoga and meditation teacher will be a part of. when this course; if you’ve got thoughts on beginning your career in yoga then you’ll produce your career in it. 200 hours Yoga Teacher training Nepal Course addresses us to our all facet of life. And anyone will be a part of who need to understand regarding their body, mind and true self. thus the course offers you opportunities to form discoveries of fulfillment through connecting of boy, mind, and spirit. Furthermore, it’s a soul-rocking, life-changing chance to deepen and connect with your inner supply. be a part of this course to experiment the life ahead of the last word truth. This course is going to be command by the old and acknowledged team of the accomplished yoga teacher. 200 hours Yoga Teacher training Nepal Course is that the comprehensive foundational course. The certified yoga teacher who has the master degree in yogistic science and university degree can guide you this course. This course has been designed for worldwide students with high standards of ability, knowledge, and confidence. because of that, it helps to get away to live your own true nature of eternal bliss. When completion in fact student is going to be graduated and awarded with the certification from Yoga Alliance registered yoga school. 200 hours course aims to produce the solid foundation in numerous aspects of yogistic disciplines that prepare them. To adopt yoga as their profession still as the lifestyle. The most goal is to provide qualified and provoking yoga teacher who is ready to rework their personal life. We also offer multi-style of yoga Hatha yoga, Patanjali’s Ashtanga yoga, Kundalini yoga, Sivananda yoga, Iyengar Yoga, Restorative Yoga etc. We are also an inspiring and welcoming international yoga community. You will learn with personalized attention. At the end of the yoga training course, you will be deeply center, calm, inspire, bless with joy and empower. This course gives you real experiment within your own body, mind, and spirit.